You are here: Home / Press / Teamwork Overcomes Challenges & Obstacles At Owens Lake Project. A Stronghold Lunch & Learn project update on the recently completed Owens Lake Dust Mitigation project. 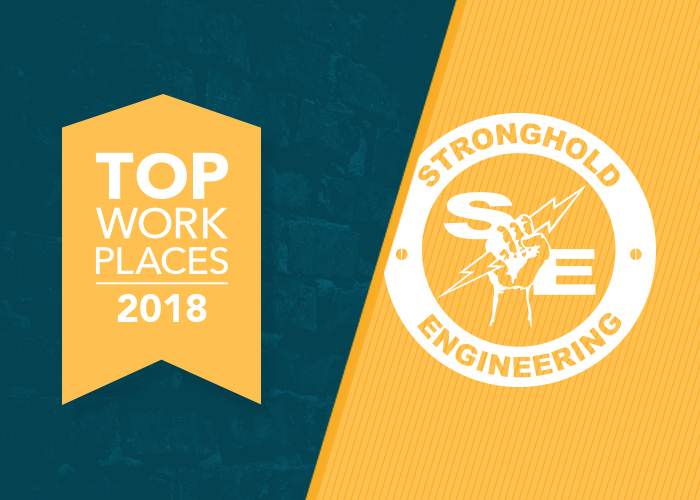 At Stronghold Engineering we feel strongly about providing educational resources to our employees, which include topics such as; health & wellness, employee benefits, and more. Stronghold’s quarterly “Lunch & Learn” events, allows for the opportunity to bring in guest speakers who volunteer their time to come in and share their knowledge and expertise on these topics with our employees. As a new edition to the Lunch & Learn events, the company has now implemented the “Project Update” series where employees can learn all about current and recently completed projects. The presentations which are given first hand by the Project Managers or employees directly associated with the project, give a chance for others to learn more about the challenges and finer details that helped shape the project into a success. Recently, Owens Lake Project Manager, Billy Bumby provided the Stronghold corporate office employees with an insight in just how complex the recent dust mitigation project was, from destructive winds and sink holes, to the quality of work and team effort that made the project a success. Not only did the project team have to work through some challenging conditions, but completed the project with over 45 thousand man-hours worked and zero lost time incidents. To watch the Owens Lake Project Update presentation, please watch the video below. 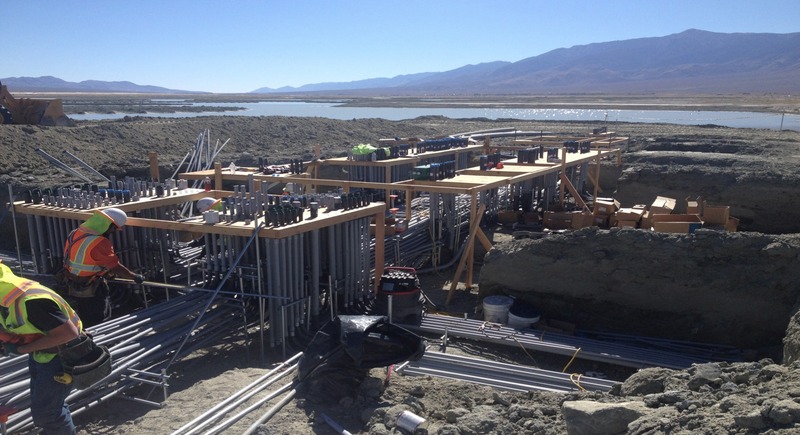 Stronghold served as the electrical subcontractor for phase 9/10 of the Owens Lake Dust Mitigation project which covered 3.6 square miles of the lake playa. The scope of work consisted of seven irrigation pump stations and five lateral valve mechanical control sites. A single site in one of the major areas acts as the main control site for that area. All sites consist of new medium voltage 480V switchgear, electrical distribution and PLC Controllers and Instrumentation that communicates around the lake area with Radio Telemetry communication. Complex Instrument and Control SCADA monitored and controlled system. Scope included more than 20 miles of underground high-voltage feeders throughout the lake area. The Owens Lake region is part of the larger Owens Lake Valley and it was this area was targeted by the Los Angeles Water District in the early 1900s as a source of water for the fast-growing Los Angeles Metropolitan area. Despite concerns from the rural local population of the plan to redirect water away from the farmers and ranchers, the project proceeded with an innovative aqueduct that transported the nearly 108-square miles worth of water more than one hundred miles to Los Angeles. Within a decade, the water supply in the lake had been exhausted, leaving the lake bed (already vulnerable from mining deposits from the nearby Sierras) dry. With the Owens Valley subject to heavy dust storms, the contaminants from the lake bed were being frequently blown across the country and were even reported as far away as Asia. Reminiscent of America’s Dust Bowl of the 1930s, the massive dust storms were sources of disruptions of military exercises at nearby China Lake and would frequently shut down the highway from zero visibility. In 2013, it was named the largest single source of dust pollution in the United States for its noxious alkali dust. Unable to simply flood the area and return it to its original state was not the solution. Flooding the area would have been environmentally disastrous to the ecosystem. Shallow flooding and mixtures of planting and rock landscaping was deemed to be the best solution. 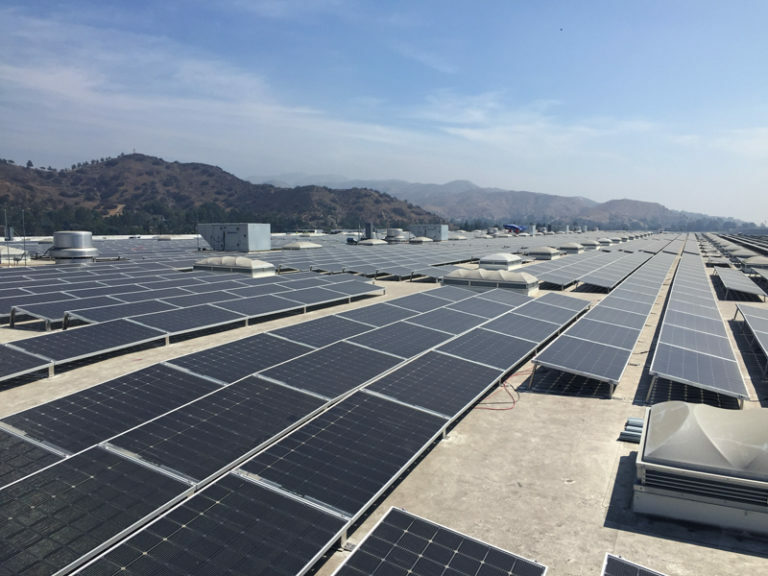 Los Angeles Department of Water and Power commissioned this project to try to alleviate the consequences caused by the lack of foresight of the long-term environmental damage created one hundred years earlier. Stronghold was responsible for the complete electrical system; Complete Instrumentation System; Electrical modular shelters complete with power, lighting fixtures and air conditioning units per plans and specifications; Installation of all pad-mounted transformers and switchgear furnished by LADWP; Above ground enclosures for pad-mounted transformers; Relocation of existing medium voltage cable at T 18 Turnout facility, Pipe heat tracing system; Complete grounding system as required by code; Commissioning coordination of electrical systems- assist in schedule and planning; Telemetry Antenna Towers will be furnished & installed by Subcontractor; Electrical testing and coordination study; Bird deterrent per specifications; Engineering and design for all electrical pads and footings. “The Owens Lake Dust mitigation Project Phase 9/10 for the Los Angeles Department of Water and Power (LADWP) is the ongoing project to control and reduce the dust produced by the wind and dry lake bed of Owens Lake in Keeler, CA. The site is the largest source of dust pollution in the United States. The effort to mitigate the pollution began in 2001, and since then, air pollution from the lakebed has decreased to 95% of its original levels. This phase of the project uses the gravel cover technique, which involves laying coarse gravel to disrupt high wind velocity and to protect finer particles of lakebed soils and prevent their dispersion, as well as water diversion to continue shallow flooding in the basin. In the shallow flood areas, water was distributed to the Dust Control Areas (DCAs) with the installation of laterals and conveyance pipelines. Water was contained by perimeter berms to help reduce dust emissions and to assist in the overall management of salinity and water on the lakebed. Water containment was achieved by constructing new berms on the undisturbed lakebed and by placing additional fill and riprap on the previously dry berm.